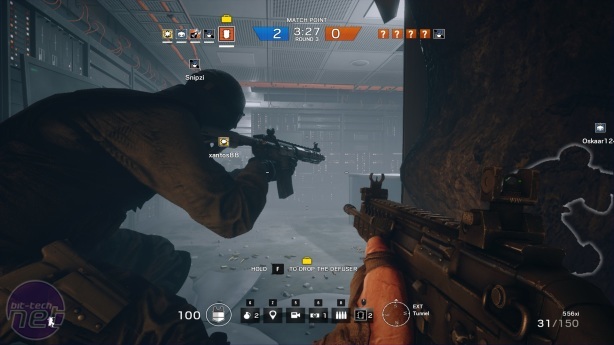 When Rainbow Six: Siege works, it's a fantastic game. When the abilities are balanced, the teams are coordinated, the defences strategically placed and the infiltration tactically considered, it's one of the most tense and thrilling multiplayer experiences around. 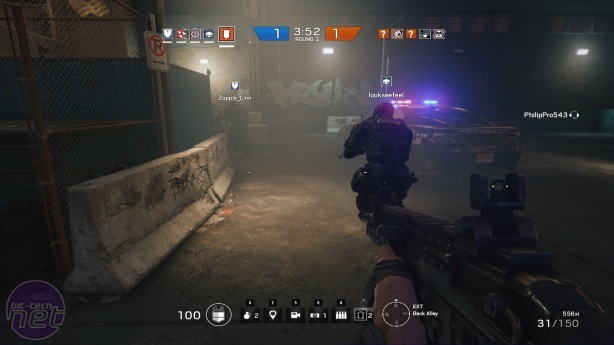 At its height, siege is a beautiful blend of good old fashioned tactical shooting built around a more modern asymmetric multiplayer design. It has the potential to be the best gaming experience you have all year. When it works. 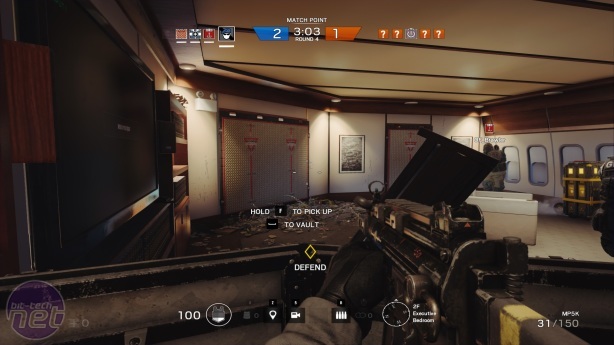 When it doesn't work, Rainbow Six: Siege is chaotic and uneven. It doesn't fall apart, not completely. But when the teams are disorganised, the victory conditions tend to recede to whoever has the fastest finger trigger or the most robust abilities. This is frustrating and, in my opinion, not entirely unavoidable. What Rainbow Six: Siege never is, however, is boring, and this is what will rescue it from the asymmetric cemetery where the games like Evolve and The Flock are interred. Even with the most hapless team of cack-handed, gung-ho loons, storming an entrenched position in Siege is electric and compulsive, if not always elegant. 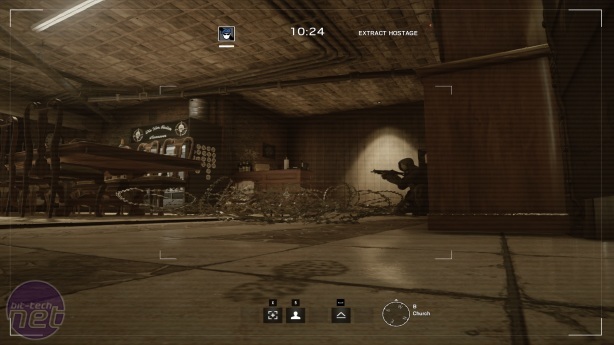 There are various modes to Siege, but all of them revolve around the same multiplayer-focussed premise, wherein a team of special operatives must assault a building defended by a group of terrorists. Each round is split into two phases. In the first, the defenders have thirty seconds to establish their fortifications - setting up barricades, reinforcing walls, laying traps, and finding a strong position to fight from. At the same time, the attackers must use remote-controlled drones to locate their objective, be it a hostage that needs rescuing or a bomb that requires defusing. Then the execution phase begins, which depending on your team, will either be a series of cautious manoeuvres culminating in a brief and deadly exchange of gunfire, or a haphazard spray of bullets and explosions that chokes the air with smoke and debris. Either can be fun, and surprising, but when the former happens, that's when the game becomes special. There have been some curious changes since the beta that did the rounds earlier this year. Despite an opening cinematic that suggests a new and deadly terrorist threat which Rainbow Six must counter, during multiplayer there's no real distinction between terrorist and counter-terrorist. Regardless of whether you're attacking or defending, everyone chooses between a bunch of counter-terrorism specialists, equipped with different items for either assault or defence. This doesn't have a massive effect on the game, but it is a weird thematic inconsistency. That said, the variety of specialists does contribute to the at-times uneven feel of the game. There are around twenty to choose from, each coming with a unique ability such as laying booby-traps on doors and windows, deploying reinforced barricades, or smashing through them with a sledgehammer. The majority amount to minor tactical tweaks, but a few do tip the balance considerably in a player's favour. In particular, anyone equipped with a riot shield is has a significant advantage. It often only takes one or two shots to end your round in Siege, but it's very difficult to place those shots when your opponent is clutching a giant bulletproof rectangle in front of them. Warning! The contained documents are classified! Do not open without proper clearance!